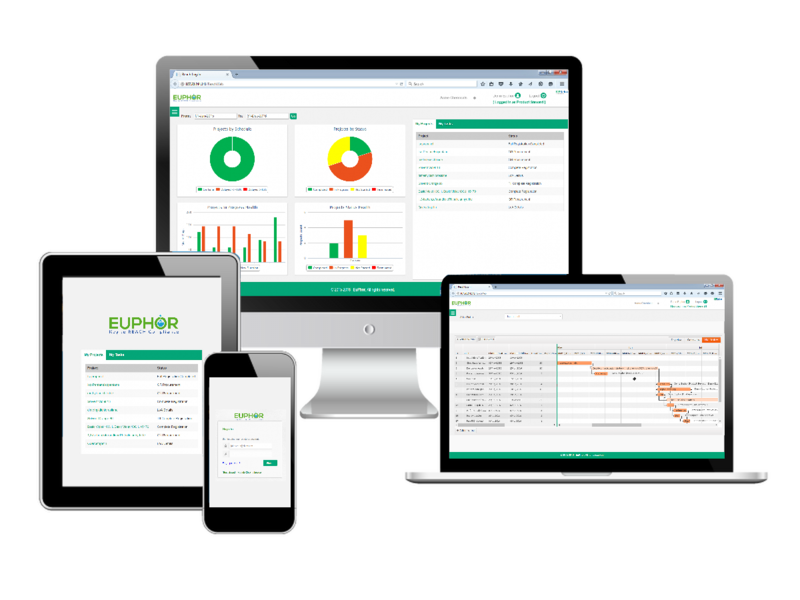 EUPHOR is a complete chemical regulation compliance management designed to secure your position in regulated markets while reducing your investment of time and money in your chemical compliance projects. Find out how EUPHOR can help you successfully comply with complex global regulations such as the REACH compliance program. THE CLOCK TO REACH 2018 IS TICKING! EUPHOR is a compliance management solution designed specifically for chemical companies working to meet the deadline for global regulations such as REACH 2018. EUPHOR offers an automatic alert system, secure data storage and sharing, an easy-to-use dashboard interface, and practical tools for project management and collaboration. Available in both web-based and on premise versions, EUPHOR is designed to streamline, manage, and track REACH compliance projects. However, it will also work for chemical regulation compliance in general. This robust compliance project management solution will be your go-to tool for all compliance program management. Can Chemical Compliance Software Keep You Doing Business Globally? Chemical regulations around the world are becoming more demanding. EUPHOR can help you achieve compliance. “No data, no market” is the rule, and failure to meet compliance deadlines such as that for REACH 2018 could threaten your access to global markets and leave you facing bad press and even legal sanctions. Chemical regulation compliance is challenging, but xTensegrity’s EUPHOR chemical compliance software can make it possible for your company. EUPHOR handles REACH and similar compliance project management and makes it easy to collaborate and track progress toward chemical regulations compliance. Some regulatory compliance software just provides information. EUPHOR provides the tools your team needs for success.